Our attorneys speak the language of American business, and work tirelessly to resolve the toughest legal issues facing our clients. Businesses and organizations need – and rightly expect – legal partners who can achieve results efficiently and cost-effectively. Lindner & Marsack, S.C., approaches every labor and employment law case and every client with this simple premise. It is the foundation of how we work. Lindner & Marsack, S.C.'s team of highly skilled labor and employment lawyers offer a wealth of dedicated experience in all of our practice areas. 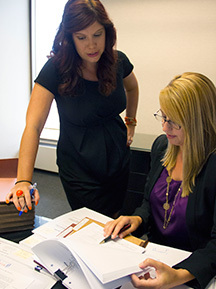 Our attorneys speak the language of American business, and work tirelessly to resolve the toughest legal issues facing our clients. Providing a road map of solutions to clients' most pressing challenges. Our mission is to define the route, assess the costs and risks, and assist clients in reaching their goals. Saving clients money through a proactive, preventive approach. Lindner & Marsack, S.C. is proud of the numerous court victories the firm's attorneys have achieved. Yet millions of dollars saved by clients when appropriate planning makes litigation unnecessary. Building a team of labor and employment law attorneys who are superb communicators and know when to speak as well as when to listen. Communicating openly and directly about costs. Lindner & Marsack, S.C. offers a competitive fee structure, with the right mix of associates and partners to tackle clients' problems efficiently and cost-effectively.